Alice Hispanic Heritage Committee, Inc.
1994 friends and family gathered in September to celebrate Hispanic Heritage Month with a backyard BBQ. For the next several years the backyard bbq and celebration grew larger with more friends and invites and in 1998 Rojelio Cuellar, Jr., John Farias, Nena Pitts and Edwin Golddapp planned the first organized Hispanic Heritage Festival. 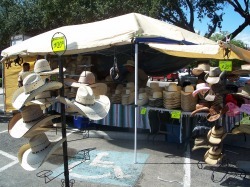 With the help of the Alice South Texas Museum, the event was held down town. 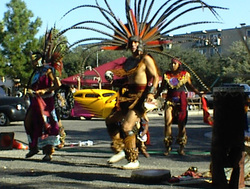 The event was the first gathering with live music and food vendors. Soon after, a small group of people became interested and the Alice Hispanic Heritage Committee was organized for the sole purpose of planning and holding the Alice Hispanic Heritage Festival. 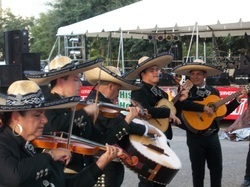 The Hispanic Heritage Festival is now held down town Alice during the month of September. The two day event includes live music, exhibits, food vendors, arts and crafts and an IBCA sanctioned BBQ cook-off. This year the event will be held Friday & Saturday September 7 & 8, 2018. For information email hispanichc@gmail.com or call the Alice Chamber of Commerce at 361-664-3454 or 361-701-6865.